Madalyn recently published a blog on discerning the true personality/temperament of horses that are so far out of balance that they are almost impossible to ‘TYPE’ correctly. I have run into that same predicament in my clinics, and find that it takes a lot of time to figure out the problem(s). I have even discovered the same problems with a few of my own horses. 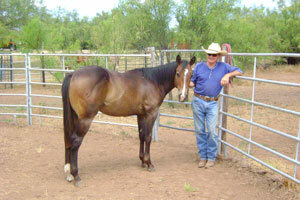 For example: I have a young Dark Bay/Brown gelding that I have raised. I labeled him a ‘WOOD’ personality at a very early age. The attitude that he exhibited was that of a Wood. However; now that he has matured, his conformation and size do not coincide with that personality. His size, conformation, and true temperament is that of a Metal or Metal/Wood element. Why? Well after 4years going on 5 years, I finally discovered that LH SMOKEY BLUE MOON has a displacement in his loin area, and probably has had from birth. When I use Pressure Point therapy on the loin area, he dances away from me, and gives me the look of pain in his eyes! Dr. Ward told me years ago, that her work in chiropractic and acupuncture was like peeling the skin of an onion back to get to the next layer. Then, it may well be that she has found another issue to address, and peeling back another layer (or more) to finally get to the true root of the problem. I am finding this is the same approach with determining the true personality/temperament of all horses regardless of age. I worked with a young lady who purchased a nice little paint mare off ‘Craigs List’. I pointed out to her, “That was your first mistake!” The little mare was a bit undernourished, but not too badly. She was keeping the little mare at a barn where they fed only sweet feed and limited alfalfa hay. She asked me to work with her and the little mare. I immediately tagged her as a WOOD personality. She was very head strong, pushy, and obstinate. I brought the mare to my place to work with her, and changed her diet. My horse trap is 7 acres, with good native grass. I gave her a flake of Coastal Hay, along with 1 cup of steam rolled oats with Flax Seed Oil, Rice Bran, and wheat germ oil. Within 2 weeks her attitude changed significantly. However, when I tried ground-working her in the round pen, she refused to give me a roll-back, and kicked out at me! I stopped her, released the pressure and let her face me. That was when I saw the PAIN in her eyes! I immediately told her I was sorry for pushing her so hard, and began to determine the problem. What I discovered was a weakness in both stifles, and pain with stiffness in her lumbar & sacral regions. INFLAMMATION was a lot of her problem from the 6+ lbs of sweet feed and alfalfa every day prior to this. She has made great changes, and today she is with my mares in a 350 acre native pasture, and is learning to become a horse. Her attitude is one of submission with manners, and she knows her place in the band of mares. Oh Yes, her true personality? She’s a Jue Yin! My favorite type of horse. And- the moral of this story is: Take the time to truly get to know your horse, especially with Dr. Ward’s Horse Temperament books based on the TCM 5 element approach. It truly works. I am available for questions and consultations if you want to learn more. You may contact me via Dr. Ward’s Blog page and website if you need help.